We measure what we do and strive toward quantifiable goals, that we set to guide our progress in the years ahead. Macy’s and Bloomingdale’s stores, as well as other Macy’s, Inc. facilities, have been updated over the past decade in order to meet our sustainability goals. We aim to reduce energy consumption, install more renewable energy sources, improve resource management, and increase the use of sustainable building materials for future construction projects. Macy’s, Inc. implements good business practices that utilize resources in a more efficient manner and operates in new ways that minimize our impact on the environment. More than 1.8 million LED lamps and fixtures have been installed in Macy’s and Bloomingdale’s stores across the country. Compared to conventional bulbs, LED bulbs cut energy consumption by up to 70 percent. In 2016, energy consumption savings were estimated to be around 25.7 million kilowatt-hours (kWh). We plan to use new types of LED installations in future store constructions and additional store remodel projects. In an effort to reduce the waste in the merchandise supply chain, Macy’s, Inc. has adopted a number of best practices, which include standardizing the size of packing cartons, incorporating recycled polyester fibers into woven garment labels, and minimizing packaging materials. We have also joined with a number of major home merchandise brand partners to identify best practices that make use of new methods to reduce waste and cut costs in product packaging. Macy’s Private Brands is a member of the Sustainable Apparel Coalition (SAC), a trade organization whose goal is to reduce the environmental and social impact of apparel and footwear products around the world. The SAC includes a number of brands, retailers, manufacturers, government, non-governmental organizations and academic experts representing more than one-third of the global apparel and footwear market. 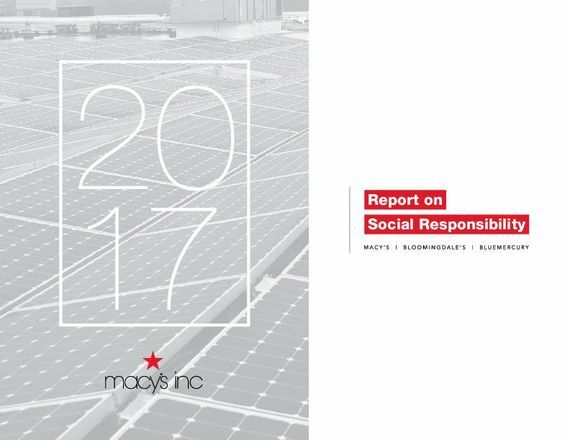 In 2016, Macy’s Private Brands introduced the SAC’s Higg Index of sustainability to 170 factories, as well as 150 additional facilities within that supply chain. The Index is a collection of self-assessment tools that enables brands, retailers, and facilities to measure their environmental, social, and labor impact and identify areas of improvement. Formerly the Carbon Disclosure Project, CDP is a not-for-profit organization that runs a global disclosure system for investors, companies, cities, states and regions to manage their environmental impacts. 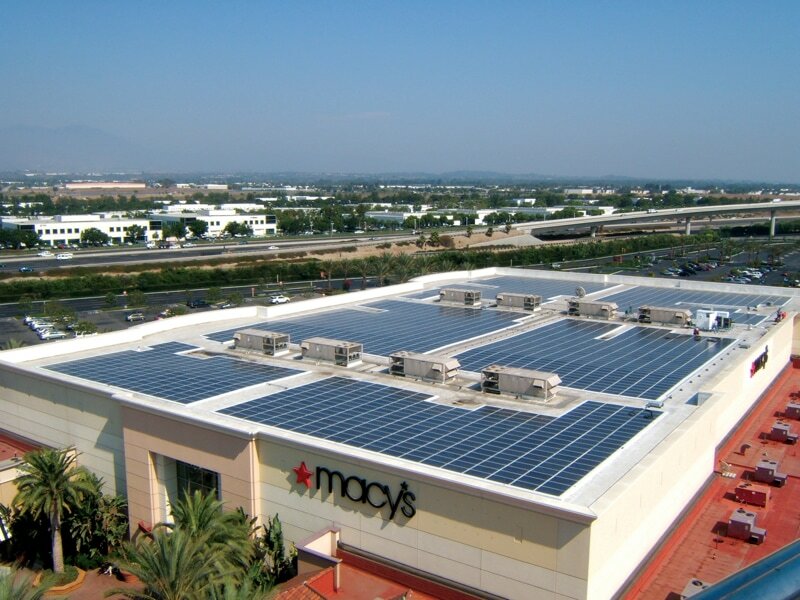 Macy’s submits the climate change questionnaire yearly, including Scope 1 and Scope 2 emissions..